The white Cima 137” 16:10 Presentation Format Above Ceiling Projection Screen from Stewart Filmscreen is designed to be compatible even with the next-generation 4k capable projectors to display pictures with vibrant colors, sharper contrast, and rich detail in Ultra HD resolution. The screen’s large 137” display area lets you enjoy images and videos in 16:10 presentation format. The Tab-Guy tensioning system and consistent material uniformity ensures a smooth and completely flat screen surface, eliminating any edge curl. Thanks to the matte black overscan borders that allow for appropriate masking, the projected image appears to bleed-off the screen for professional looking presentations. This means that the audience perceives the projected image to be brighter, sharper, and of higher contrast. Moreover, to achieve the desired viewing height of the projected image, the screen also comes with a 6” black drop. 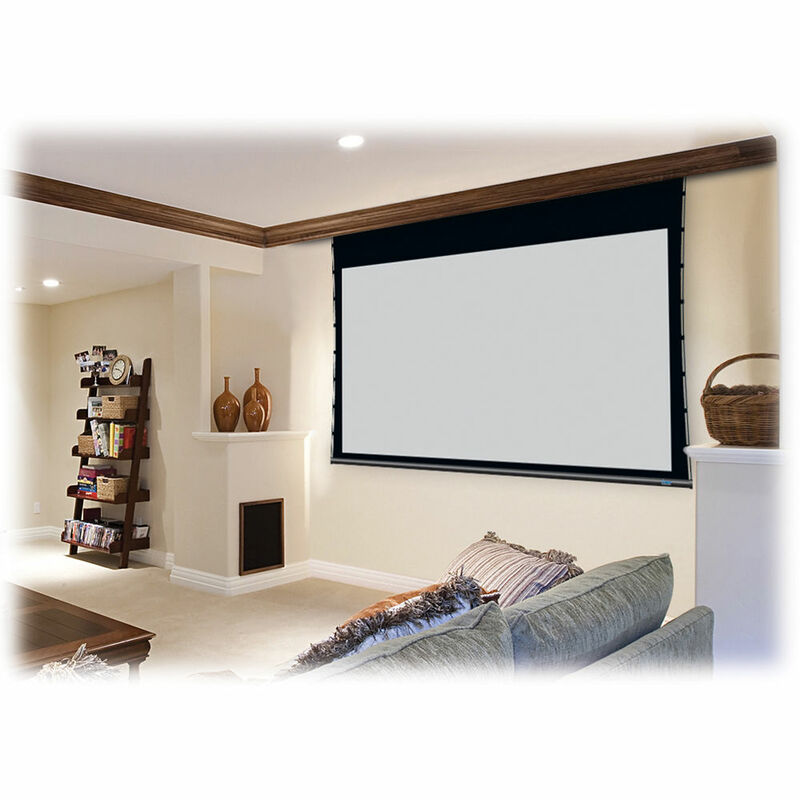 137" display area with an image size of 116 x 72.5"